As a taster for the kind of applications were Dynamical Systems is an indispensable tool, we present the following gallery of problems. This constitute a sample of topics where the members of our group have been successful in applying Dynamical Systems ideas. To see a larger version for each image/film just click on it. [If animations freeze try to refresh cache]. At ultra-cold temperatures dilute gasses turn into an exotic state called Bose-Einstein condensate (BEC). BECs behave like macroscopic chunks of quantum matter. The image on the left depicts vibrations of a chain of BECs in a periodic optical trap. 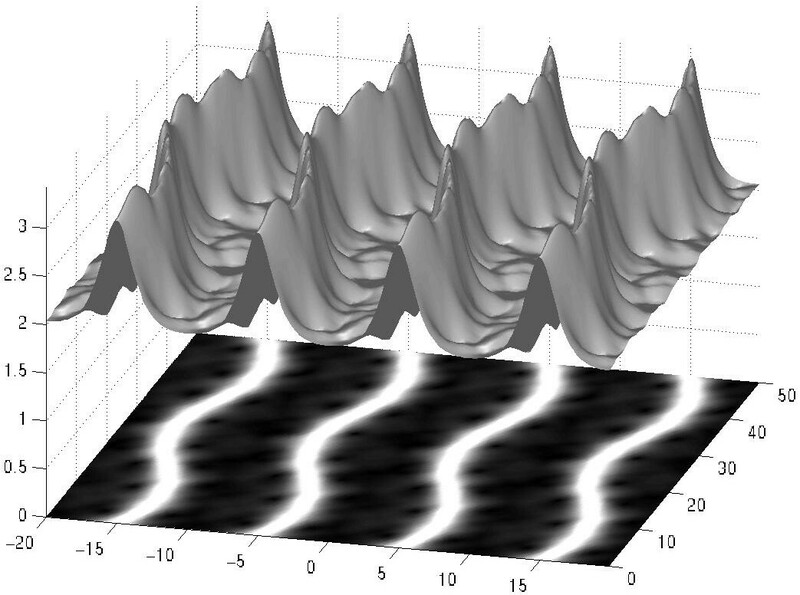 For this case all the solitons oscillate in phase back and forth and up and down. If you check carefully, for each left-right oscillation there are two up-down oscillations. In two dimensions, a BEC accepts vortex-like solutions. These solutions arise when a BEC is `stirred', producing radially symmetric kinks in the field. By constructing the interaction potential between vortices, it is possible to follow the dynamics of an array of interacting vortices. An example is depicted on the left. 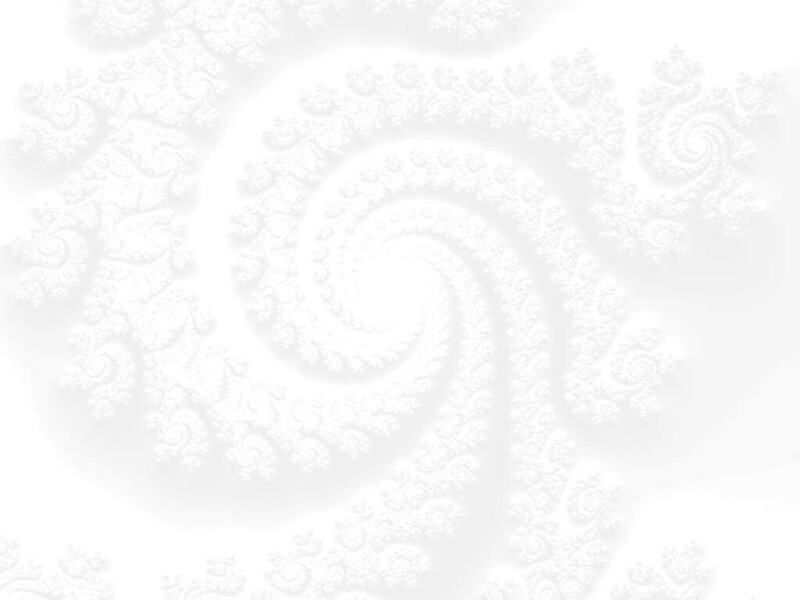 [Click on the image to get an animation of the vortex array interaction]. In this two-component 3D setting, two drops of BECs each one initialized in one of the components, interact. Both blobs are attracted towards the center of the magnetic trap but, at the same time, they repel each other. The interaction results on a periodic breathing of one blob tunelling through the other one. It is possible to prescribe an initial condition for a train of condensates which evolves into a collective oscillation that is localized in space (top image). The amplitudes of oscillation of the individual condensates decrease exponentially away from the central condensate (x=0). The dynamics for the interacting condensates can be reduced to a two dimensional map on the oscillation amplitudes of consecutive condensates. 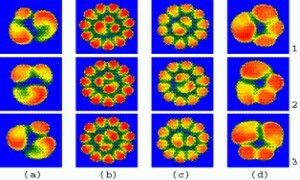 The homoclinic tangle (bottom-left image) prescribes the amplitudes of oscillation (bottom-right image) for the BEC breather (top image). The homoclinic tangle reduction provides structural stability for the breather solution. Experiments on a circular burner confirm that premixed gases burn irregularly, causing a flame front to destabilize and form cellular patterns via symmetry-breaking bifurcations. This example illustrates the spatio-temporal behavior of certain patterns called "hopping states". These states are formed by cells that sequentially make rapid changes of angular position while moving in a ring structure. 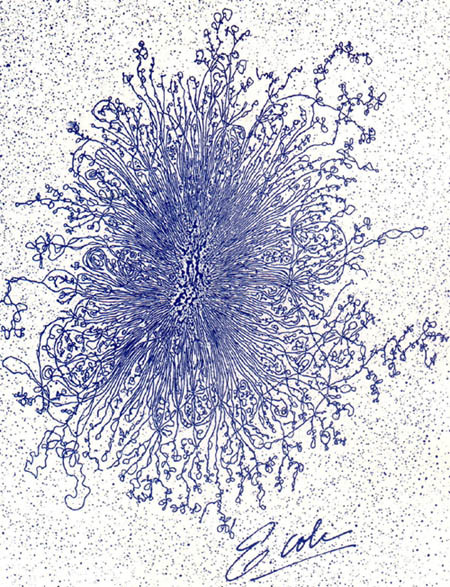 When an individual cell executes a hop, the other cells in the ring remain symmetric and almost at rest. The ring can be isolated or can be surrounded by a stationary ring, as is depicted in the composite picture. Time evolves from top to bottom. [Click on the image to get an animation of a hopping flame pattern]. The fluidization phenomenon is the transport process of solid particles by fluids, which, under certain conditions, can lead to the solids to acquire fluid-like properties. In the attached animation we observe the complex interaction between sand particles and gas in a fluidized bed. The animations were created from numerical simulations of a model developed by the National Energy and Technology Lab at the Department of Energy. [Click on the image to trigger the animation]. Cycling Chaos, in which solution trajectories cycle around symmetrically related chaotic sets, is known to be a generic feature of coupled cell systems modeled by continuous systems of differential equations with symmetry. In related work, we demonstrated that cycling chaos can also be a generic feature of discrete Dynamical Systems governed by difference equations. The accompanying picture on the left shows simulation results of a network with three cells. The internal dynamics of each cell is modeled by a cubic map with local reflectional symmetry. 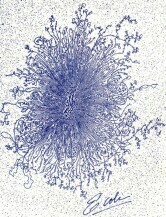 Observe that at any given time, one cell is active while the others are quiescent. Some systems behave regularly in a predictable fashion for low energies (left panel). However, when the energy is increased beyond a certain threshold, the orbits may become chaotic (right panel). Such change in behavior is called an order-to-chaos transition. The orbits on the left represent an extensible pendulum (pendulum with a spring). It turns out that by careful analysis of the potential energy it is possible to estimate the energy where the chaos-order transition occurs. The image sequence shows the initial image, the degraded (noisy) image, and the image recovered after reconstruction with the total variation norm. Some of the most successful PDE-based restoration algorithms are based on the total variation (TV) norm. The restoration is obtained by minimization of the TV functional, subject to constraints which relate the solution to the measured image, and the noise level. 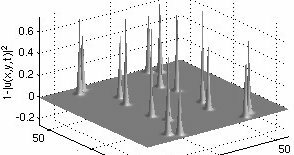 In time-reversal acoustics a signal is recorded by an array of transducers, time-reversed and then retransmitted into the medium. The retransmitted signal propagates back through the same medium and refocuses approximately on the source. The possibility of refocusing by time-reversal has many important applications in medicine, geophysics, non-destructive testing, underwater acoustics, wireless communications, etc. 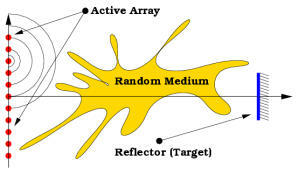 In Imaging (see figure) the target is illuminated by transmissions from the array of transducers, the echo (response) is recorded, and then the problem is to figure out where the target was located, its size, etc. One of the important questions, which scientists are currently investigating, concerns how the cell cycle begins in bacterial cells. Using information that is known about the biochemical processes in Escherichia coli (see images on the left) may help to try to determine the key controlling steps in the initiation of DNA replication. From a modeling perspective, it is important to examine several aspects of growing cultures of bacterial cells using biochemical kinetics to study cellular control problems from a theoretical perspective. It is hoped that these studies will assist the experimental studies in discovering the most significant steps initiating the cell cycle. [Click on the images to see a larger versions]. 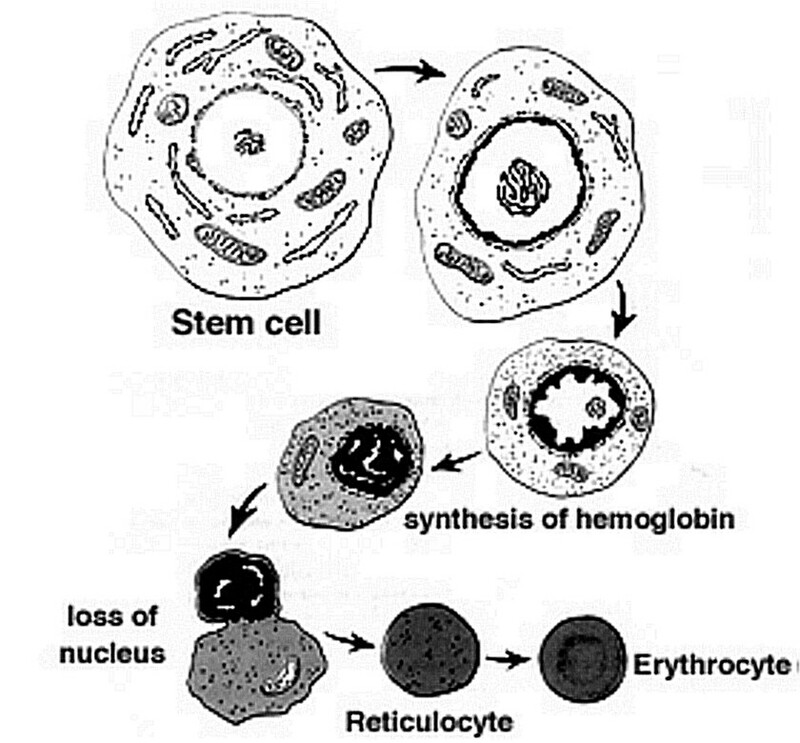 Age-structured models for the development of mature red blood cells, or erythropoiesis (see left image), began as an inquiry into the relation between complicated age-structured models to the significantly simpler systems of delay differential equations. Some models for hematopoiesis have interesting results for both hematopoietic (blood) diseases and the mathematical analysis of state-dependent delay differential equations. Recent work has shown how the variable velocity of aging in erythropoiesis can stabilize the mathematical model. This page has been accessed times since February 2002. Last update: 20 March 2002.